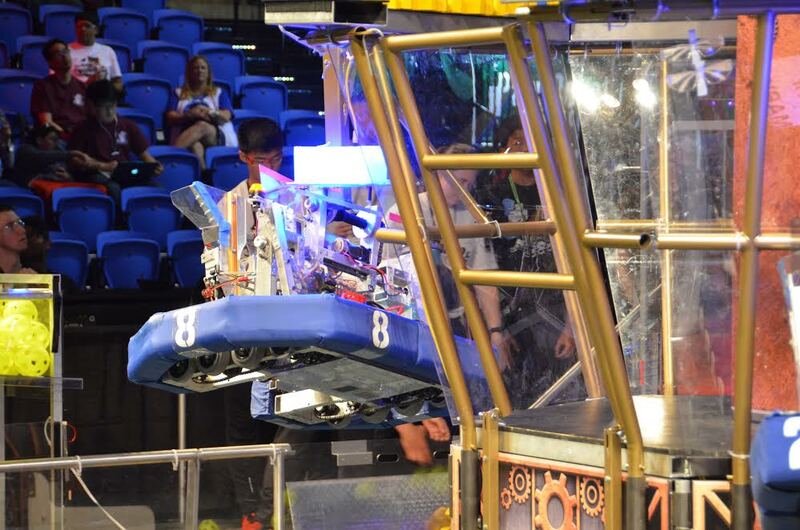 The Palo Alto High School Robotics’ Team 8 is advancing to the World Championship a year after losing in the finals round at the Silicon Valley Regional FRC (FIRST Robotics Competition). The FIRST Championship will take place in Houston, Texas, starting on April 17 and through the week at the George R. Brown Convention Center. 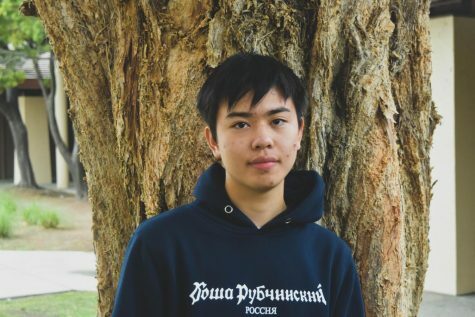 Although the Vikings lost to Bellarmine Preparatory High School’s team in the FRC finals last April, Paly’s outstanding performance contributed to the team’s qualification for world championships, according to Nathan Kim, a Viking robotics designer. During semifinals, Team 8 won against an alliance containing Gunn Robotics’ Team 192, leading the Paly group to compete in the finals. An alliance is basically an agreement to team up with other school teams, according to Team 8 sophomore member Leland Ling explains. For the 2017 Steamwork season, Team 8 built “Vali,” which is capable of delivering small items and scaling for take-off, according to Eli Zucker of Team 8 (who also happens to be a webmaster at The Paly Voice). Paly hopes to follow last year’s success, where the team scored in the top 30 in FIRST Robotics Competition World Championships in St. Louis. According to sophomore Peter Martin, robotics provides a great platform for students to learn about robotics and build a community fueled by passion. Although not every member on Team 8 is going to the FRC World Championships, those who aren’t are hoping that their teammates will be able to perform well.